Paying for retirement with rental income makes a lot of sense. As long as your rentals are occupied, you can count on a steady income stream, month after month. Unlike some investments, rental real estate is an inflation hedge: if inflation goes up, you can raise the rent but your mortgage stays the same. Like most investments, though, it has drawbacks. You'll probably need a 20 to 25 percent down payment, plus closing costs, to buy a rental house. You'll also pay a higher mortgage interest rates than on a personal home. Buying a bigger property, such as an apartment building, usually requires investment partners. You also need a cash reserve for when problems arise -- roof repairs, for instance, or periods of time with no tenants. Even when you have no rental income, you still must pay your mortgage, insurance and property taxes. The National Association of Realtors recommends a six-month reserve. If you're looking for a stress-free retirement, arranging repairs and coping with problem tenants isn't going to give it to you. The more properties you own, the greater the demands. You can hire a management company to tackle the job, but that typically costs 7 to 10 percent of your income. If you have time before you retire, "U.S. News" recommends testing the waters, becoming a landlord for one property and seeing if you enjoy it. 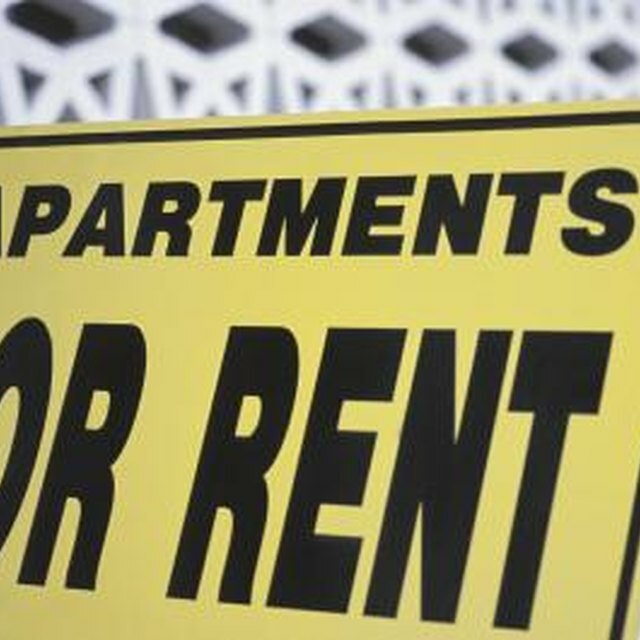 One of the advantages of rentals is that you can write off your expenses, including depreciation. On a $200,000 house, depreciation may be as much as $7,200 a year. Even though it's not an out-of-pocket cost, you can take it as a deduction, eliminating some taxable profit. If you are an actively involved landlord, you can write off as much as $25,000 in real-estate losses against other income. Otherwise you carry red ink forward to next year's taxes. When Renting Out a House Can You Write Off Condo Association Fees? Bankrate.com recommends starting with a single-family home in a good school district. Pick somewhere close enough to where you live that you can visit it regularly, and where the rent runs at least 6 percent above your monthly costs. Before buying you should be confident you can afford to hold it for the long term. Diversifying, rather than pinning all your retirement hopes on a real estate portfolio, is often a smart move. U.S. News: Should You Use Rental Properties to Fund Retirement?